Help Archmages to collect Magic Runes and destroy Magic Crystals. Drag a chain of 3 or more crystals of the same color. Dozens of levels with animated backgrounds and amazing bonuses are waiting for you. 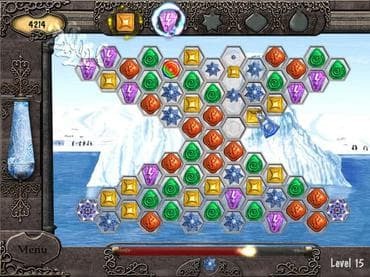 Download free full version game today and collect all magic runes! Free Game Features: - Family friendly puzzle game; - Amazing graphics and relaxing soundtrack; - Unique twist to the matching genre games; - Unique power-ups; - Save / Load game option; - Game statistics; - Free full version game without any limitations. If you have questions about Magic Runes game, please contact us using this form.